We are manufacturer and supplier of Combustion Control Products, Boiler & Burner Spares & Accessories. Comprehensive range of original imported products, genuine quality, timely delivery and most economical prices are the hallmark of our long standing reputation and success. Classic Group is a leading Distributors & Stockiest of Oil Burner Nozzles of reputed brands like Monarch and Danfoss . We stock all sizes / capacities with different angles of PLP, HO, BPS, OD, EH, ES types of Nozzles, that to at competitive rates. Classic Enterprises also offers all types of oil and gas burner spare parts, Burner Components.we offer Monarch oil burner spray nozzles PL/ PLP/ HO/ HV and bypass , Danfoss oil burner nozzlesS andB seriesEH, ES Type, Fluidics W1/ W2 50 Degree spill return nozzles, Bergonzo furnace oil burner nozzles, Ecoflam burner nozzles for minor/ max/ oilflam/ maior/ multiflam, Riello burner nozzles for G5/ G10/ G20, Weishaupt burner spill return nozzles, Oilon burner nozzles, Thermax boiler bypass nozzles, Bentone burner nozzles for ST 133/ST146/ B10/ B20/ B30/ B40/ B50, Sookook burner nozzles, Cuenood burner nozzles, FBR burner nozzles, De unigas burner nozzles, Blowtherm burner nozzles, Lamborgini burner nozzles, Baltur burner nozzles, Flame control burner nozzles, Panchal burner nozzles, etc..
We also offers oil burner nozzles for boilers Thermax boiler nozzle, IAEC boiler nozzles, Westerwork boiler nozzle, Double ace boiler nozzle, Fuelpac boiler nozzles, , Laxmi boiler nozzles, Maxima boiler nozzles, IMA boiler nozzles, 3 M boiler nozzles, Heat pack burner nozzles, Hi term boiler nozzle, Forbes marshall boiler nozzles, Elite thermal boiler nozzles, Elite boiler nozzles, Energypack boiler nozzles, Neotech boiler nozzles, Tauras boiler nozzles, J.N. Marshall boiler nozzles, Shivam boiler nozzles, Ross boiler nozzles,Vijay jyot boiler nozzles, Saz boiler burner nozzles,Unitherm boiler nozzles etc..
Flames are a fascinating but at the same time threatening. The magic of flames has captivated not only by artists, but also by research and development people. Siemens (Landis & gyr), Brahma s.p.a, Satronic (Honeywell), Petercem (ECEE) has specialized for decades in the use of electronic sensors to detect flame. Classic Group provides a variety of Flame Sensors from all this four renowned brands under one roof. Classic Enterprises, Mumbai, India is the worlds most relible source for Oil & Gas Burner Flame Sensors, Detectors, Photocells & U.V.Cells. We import and supply Siemens oil burner photocells, Siemens Flame sensor, Siemens flame detector, Siemens gas burner u.v.cells, Siemens gas burner flame detector, Brahma oil and gas burner photocells and u.v.cells, Brahma burner flame sensor, Brahma flame detector, Satronic photocells for oil burners, Honeywell flame detector for gas burners. Classic Group distributors of Flame Sensors Flame detectors,photocells andU.V. flame detectors for Oil and gas fired boilers for various Manufacturers fom SIEMENS, Landis & Gyr, Brahma, Satronic, Honeywell, Petercem , ECEE, Lamtec whichare used on Thermax boiler, Nestler boiler , Iaec boiler l, Westorwork boiler , Kessel burner, Heat pack boiler , Laxmi boiler , Sai tech boiler , Ima boiler , Maxima boiler , Neotech boiler , Forbes marshall boiler , Elite thermal boiler, 3 M boiler, Saz boiler, Industrial boiler , Cheema boiler , Synergy boiler , Energypack boiler , Double ace boiler , Fuelpac boiler , Patel boiler, Unitherm boiler , Hi therm boiler , Shivam boiler , J.n marshall boiler , Cethar vessel boiler, Tauras boiler, etc..
Classic Group is one of the leading Distributor, Suppliers and Exporters of wide varieties of Oil & Gas Burner Ignition Transformers, like Danfoss, Brahma, Fida, Cofi and Nec.Electronic & Inductive types Ignition Transformers are availabe with Two Pole & Single pole options for Oil & Gas Burner respectively. 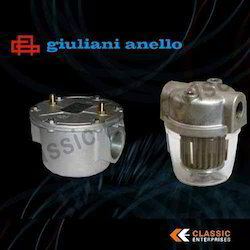 Classic Enterprises distributors for Oil & Gas Burner Ignition Transformers in India. We import and supply oil and gas burner ignition transformers such as Danfoss oil and gas burner ignition transformer, Brahma oil and gas burner ignition transformer, Nec Make oil and gas boiler/ burner ignition transformer, Beru oil and gas burner ignition transformer, Fida oil and gas burner ignition transformers, Cofi oil and gas burner ignition transformer, Honeywell burner ignition transformers, Satronic burner ignition transformer,Siemens ignition transformers, KromSchroder Ignition Transformers for burner and boilers. These all ignition transformers are manufacturing in europe with quality standard. Ignition Transformers widely used on imported and indian make boiler and burner. Classic Enterprises supply Ecoflam burner oil and gas burner ignition transformer, Bentone burner ignition transformer, Weishaupt ignition transformer, Riello burner ignition transformers, Baltur burner ignition transformer, Sookook burner ignition transformer, FBR Burner ignition transformer, De unigas burner ignition transformer, Lamborgini burner ignition transformer, Cuenood burner ignition transformer, Sot burner ignition transformer, Flamco burner ignition transformer, Flame control burner ignition transformer, Oxilon burner ignition transformer, Narayan burner ignition transformer Etc..
Classic Group also supply Indian boiler ignition transformer for Thermax Boiler ignition, Nestler Boiler, Iaec Boiler, Fuelpac Boiler , Patel Boiler, Weterwork Boiler , Double ace boiler, Elite Boiler , Combustion concept burner , Maxima Boiler, Forbes marshall Boiler, Energypack Boiler, Hi therm Boiler, Heat pack Boiler, Ross Boiler, Vijay jyot Boiler, Saz Boiler etc..
Classic Enterprises has various types of Solenoid Valves and coils supplied by Brahma s.p.a., Italy and Karl Dungs, Germany.Kromschroder, Honeywell for Gas Applications & Parker,Luciefer Suntec Rapafor Oil Applications. These valves are available in different connection sizes. Classic Group is engaged in supplying of high standard Air & Gas pressure switches, Differential Pressure Switches that are imported from Dungs, Germany, Honeywell & Krom Schroder, Shineui for Gas Burners. Dungs and Kromschroder are the world's leading manufacturer of Air & Gas Pressure Switches, Valves And Multiblocks. These components are used for pressure regulation shutoff and control of gas. We design and supply complete gas control station to for safe and efficient operation of the Gas Burners. Siemens Electro hydraulic Actautors are used world over primarily in gas-fired combustion plant. Classic Group being authorized distributor in India for Siemens – combustion products offers various types of Electro Hydraulic Actuators for Heating Equipment. Classic EnterprisesMumbai offer oil and gas filters for burner and boilers, We keep indian and imported oil and gas filters. 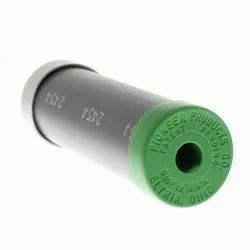 We are supplying Ecoflam burner oil and gas filters, Bentone burner oil and gas filters, Fbr burner oil and gas filters, Riello burner oil and gas filters, Balturoil and gas filters, Weishauptoil and gas filters, Unigasoil and gas filters, Flamcooil and gas filters, Oxilon burneroil and gas filters, Lamborghini burneroil and gas filters, Oilon burneroil and gas filters, Thermax boiler oil filters, J.N.MARSHALL Boiler oil filters, Double ace boileroil filters, Iaec boiler oil filter etc..
Classic Group being authorized distributor in India for Siemens Combustion Controlled products, stocks & supplies Siemens Flame Safe guard Relay / Flame Switch for Flame Monitoring of Oil and Gas Burners. Classic Enterprises, Mumbai, India is the worlds mostreliablesource for Oil & Gas Burner Photocells & U.V.Cells. We import and supply Siemens oil burner photocells, Siemens Flame sensor, Siemens flame detector, Siemens gas burner U.V.Cells, Siemens gas burner flame detector, Brahma oil and gas burner photocells and u.v.cells, Brahma burner flame sensor, Brahma flame detector, Satronic photocells for oil burners, Honeywell flame detector for gas burners. We keep stock for Ecoflam oil burner photoresistor, Bentone burner photocell, Weishaupt burner photocell, Weishaupt burner flame detector, Fbr burner photocell, Sookook burner photocell, Baltur burner photocell, De unigas burner photocell, Riello burner photocell, Oxilon burner photocell, Narayan burner photocell, Flame control burner photocell, Elco burner photocell, Cuenood burner photocell, Lamborghini burner photocell, Dunphy burner photocell, Oilon burner photocell, Arco burner photocell, Nu way burner photocell etc. Classic Enterprises, Mumbai offers Photocells and U.V Flame Detectors for Oil and gas fired boilers, we keep ready stock for Thermax boiler burner photocell, Nestler boiler photocell, Iaec boiler photocell, Westorwork boiler photocell, Kessel burner photocell, Heat pack boiler photocell, Laxmi boiler photocell, Sai tech boiler photocell, Ima boiler photocell, Maxima boiler photocell, Neotech boiler photocell, Forbes marshall boiler photocell, Elite thermal boiler photocell, 3 M boiler photocell, Saz boiler photocell, Industrial boiler photocell, Cheema boiler photocell, Synergy boiler photocell, Energypack boiler photocell, Double ace boiler photocell, Fuelpac boiler photocell, Patel boiler photocell, Unitherm boiler photocell, Hi therm boiler photocell, Shivam boiler photocell, J.n marshall boiler photocell, Cethar vessel boiler photocell, Tauras boiler photocell, Hot air generator photocelletc. Classic Enterprises, Mumbai largest supplier of Wide range of U V Cell & Flame Detectors for any industrial application. Our product range consists of various manufacturers likeSiemens, Landis & Gyr, Brahma, Satronic, Honeywell, Petercem ECEE, LAMTEChas specialized for decades in the use of electronic sensors to detect flame. Classic Group provides a variety of Flame Sensors from all this four renowned brands under one roof. 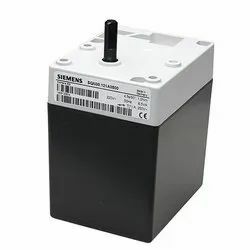 Classic Group offers various models of Damper Actuator, Servo Motor, Modulating Motor from renowned brands likeHoneywell /Staronicand Siemens (Landis & Gyr), Germany which are widely used on Oil & Gas Burners for various applications. From world class manufacturers Brahma s.p.a. and Ivalox,Classic Group offer an exhaustive range of Ignition & Ionisation Electrodes of different diameters and ceramic length, also Joint ( H Type )Electrodes as per requirement for Oil & Gas Burners & Boilers. 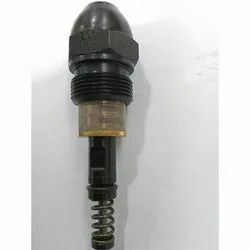 Classic Enterprises, weare one of the leading supplier of Oil & Gas Burner Ignition Electrodes & Ionozation Probes.These products have better functionality and are used as high voltage resistance. Our range of oil & gas burner ignition electrodes & ionozation probes includes Lgnition Electrodes and Lgnition Electrodes for Oil and Gas Burner. Do you need any HT cable for burner ignition system? 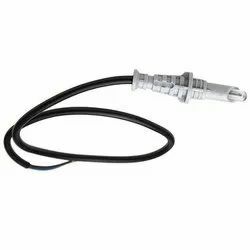 Classic group offer High Tension Red Silicon & Teflon Ignition cable from Brahma s.p.a, Cofi Ignition, Danfoss. We offer Cable in different dimensions & different Voltages along with Lugs and insulated Connectors. Classic Enterprises offers a competitive range of Ignition Cable & Copper Lugs that are widely used by many industries. These products are made from excellent quality aluminium and are highly appreciated by our clients for their reliability. Our range ofHigh Voltage ignition cable & copper lugs includes Ignition Cable & Copper Lugs , Insulated connectors. Millions of gas fired systems all over the world rely on DUNGS valves & Giuliani Anello Gas Train Components.The DUNGS GasMultiBloc® integrates filter, regulator, valves and pressure switches in one compact fitting. Classic group with help of these partner supply various types of Multibloc and Gas Train Components. Classic Enterprises one of the leading distributors of Burner Components & Accessories & various Spare Parts for Boilers & Oil Gas Burners in providing excellent quality products. We are offering Burner Motor & Blower Wheels for Oi & Gas Monobloc Burners available in array of varieties such as Ecoflam, Bentone, Weishaupt, Riello, Baltur and Sukook Burner Motors & Blower Wheels. SIEMEL, ACE Brands Burner Motors with different Flange designs are available for Oil & Gas Burners. Classic EnterprisesMumbai offering Oil and gas burner diffuser plate and blast tube, we supply Indian and imported diffuser disc and blast tubes. Pioneers in supplying industrial products, we are world renowned for our Oil Burner Pump Couplings, which are used for connecting the motor to the oil pumps in Monobloc Burners. These supreme quality couplings are available for various Brand Burners Ecoflam, Riello, Weishaupt, Baltur, de Unigas, FBR and Cuenod. In order to support the Boiler / Burner Service Industry Classic Group stocks and supply various other related Spareparts as mentioned below which are usually required along with Boiler Burner Controls. Classic Group offer wide range of Oil Burners, Gas Burners, Dual fuel Burners from Cuenod France These Burners are compact and uses the latest technology to provide high combustion efficiency, complete operating safety , extremely quite operations. These Burners allow faster combustion stabilization during start ups. All controls and display are grouped together on the control panel to provide easy access. Thermax boiler burner nozzle, Thermax boiler bergonzo nozzle, Thermax boiler bypass nozzle assembly, Thermax boiler ignition electrode, Thermax boiler ignition transformer, Thermax boiler diffuser plate assembly, Thermax boiler sequence controller, Thermax boiler programmer, Thermax boiler combistat, Thermax boiler temperature controller, Thermax boiler PT100 sensor, Thermax boiler wagman cone, Thermax boiler nozzle holder, Thermax boiler electrode holder, Thermax boiler photocell, Thermax boiler photo resistor, Thermax boiler u.v.cell, Thermax boiler gauge glass, Thermax boiler mobrey switch, Thermax boiler monal float, Thermax boiler magnet with rod, Thermax boiler nozzle rod, Thermax boiler burner rod assembly etc..
Classic Enterprises, Mumbai one of the best solutions for Combustion control Products under one roof. Siemens Burner Sequence controllers offer fully integrated control in a single module, saving valuable floor space over non-integrated systems which is part of Burner Management Systems. 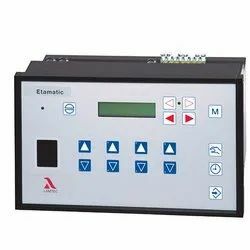 There are various models available with different specifications for various applications Oil Burner Controllers & Gas Burner Controllers . 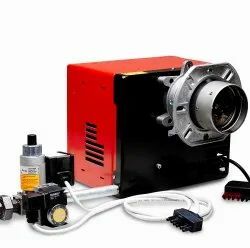 Each system is designed to meet or exceed the reliability and safety requirements of the industrial heating industry.The burner controls are used for the start up, supervision and control of oil, gas burners in intermittent operation. Yellow burning flames are supervised with photo resistive Photocells, blue burning with blue-flame sensors, UV Flame Detectors. As Burner Spares & Boiler Spares various Models of Burner Controls are popular in heating industry. 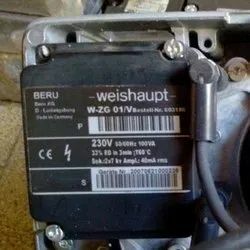 Classic Enterprises, Mumbai are the stockist for Weishaupt burner spare parts, we import most of the weishaupt burner spares from Germany and supply all over world. 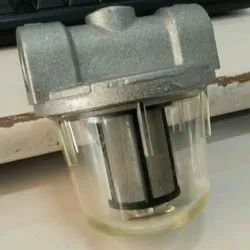 Classic Enterprises, Mumbai keep stock of spare parts for weishaupt burner like Weishaupt burner nozzle, Weishaupt burner photocell, Weishaupt burner flame sensor, Weishaupt burner flame detector, Weishaupt burner u.v.cell, Weishaupt burner coupling, Weishaupt burner ignition electrode, Weishaupt burner ignition plug Male/ Female, Weishaupt burner blower wheel, Weishaupt burner motor, Weishaupt burner coupling center piece, Weishaupt burner nozzle head, Weishaupt burner terminal socket, Weishaupt burner solenoid valve, Weishaupt burner servo motor etc. Classic Enterprises, Mumbai offers Bentone Burner Spares for Oiland Gas Burner Models. ST133K, ST146, B20, B30 A, B40 A, B45 A, B50, B55, B60, B70, B80, etc. STG120, STG146, BG200, BG300, BG400, BG450, BG550, BG650, BG700, BG800, BG900, etc. Classic Enterprises Mumbai Distributors for Lamtec Burner Management Systems. Lamtec's aim is to develop equipment that provides extremely precise combustion control and enables maximum thermal power or heat output using minimum energy (fuel, electrical energy) and with minimum emission of pollutants. Lamtec products control and monitor combustion systems, compensate disturbance variables, offering both fault protection and availability. Lamtec systems offer greater efficiency with optimum functionality and engineer-friendly operation, making them suitable for universal application. Classic Enterprises, Mumbai offers Karl Dungs Gas Combustion Controls products. We keep Dungs air and gas pressure switches, Dungs single stage gas solenoid valve, Dungs double stage solenoid valves, Dungs gas solenoid coils, Dungs gas Multibloc, Dungs gas filter, Dungs Gas pressure regulators, Dungs gas Train components, Dungs zero pressure regulator, Dungs gas valve proving system. 3. Dungs single stage gas solenoid valve SV and SVD Series..
Classic Enterprises, Mumbai offers Kromschroder Combustion Cntrol Products Like Kromschroder Gas Train Components, Krom Schroder Air Pressure Switche, Kromschroder Gas Pressure Switch, Kromschroder U.v. Sensor, Kromschroder Flame Sensors, Kromschroder Flame Detectors, Kromschroder Flame Detection Relay, Kromschroder Uv Relay, Krom Schroder Automatic Burner Control Unit, Kromschroder Ignition Transformer, Kromschroder Heating Controllers, Kromschroder Pilot Burners, Kromschroder Ignition Electrodes, Kromschroder Flame Scanner, Kromschroder Gas Governors, Kromschroder Air And Gas Ratio Controls, Kromschroder Gas Safety Valves, Kromschroder Gas Filters, Kromschroder Safety Relief Valves, Kromschroder Solenoid Valves, Kromschroder Solenoid Coils, Kromschroder Tightness Controls, Kromschroder Gas Flow Meters, Kromschroder Butterfly Valves, Kromschroder Gas Flow Meters, Kromschroder Combustion Controls, Kromschroder Pressure Guages, Kromschroder Manual Valves, Kromschroder Motorised Valves etc. 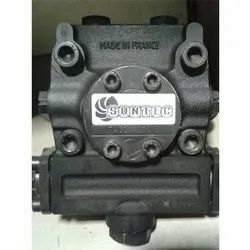 Our product range includes a wide range of suntec oil pump ta3c, suntec oil pump ta2c, suntec oil burner fuel pump, danfoss oil burner pump bfp21 and suntec fuel pump d57 a , d57 c.
Manufacturer of a wide range of products which include landis & gyr u v cell qra10c. 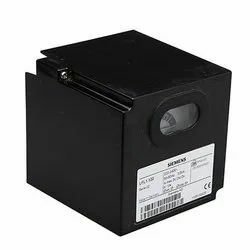 Leading Manufacturer of siemens flame detectors qra2 and oil and gas burner flame sensors from Mumbai. Our product range includes a wide range of dungs gas filters. Pioneers in the industry, we offer satronic burner sequence controllers, honeywell modulating motor and honeywell pressure controllers from India.